& THE NATIVE SHAMANIC WISDOM OF INDIA. WHAT IS 'WORKING WITH THE SHADOW'? A short interview with Boonath. 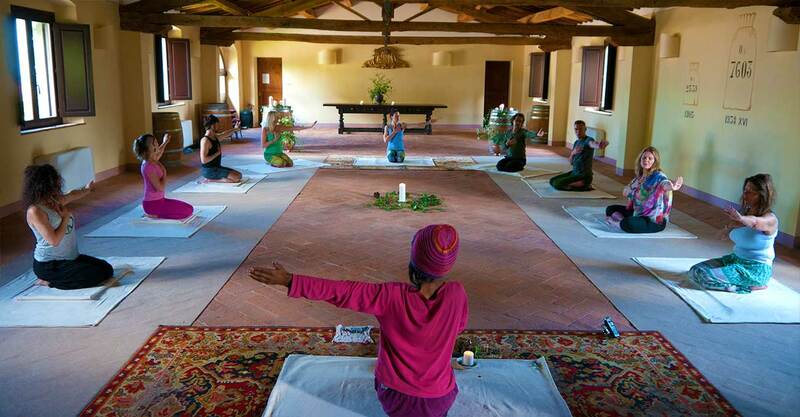 Yoga is a group ritual of Healing. On this 2-day Tantra Yoga Workshop in Gothenburg, we will practice a rare form of Tantra rooted in India’s Shamanic & Yogic wisdom. We will practice methods that awaken the healing power of Shakti. Shakti is kundalini and life power. She moves through the Physical and Energy bodies, clearing a path of life and love to ground. Emotional and physical pain, as well as reoccurring patterns in our lives, are moved and integrated when Shakti begins to awaken to the dance of energy. Shakti is the sexual goddess of life, love and power, and she is the great healer. Her heat melts frozen energy and her ice cools the fires that burn. Shakti takes us through and beyond the labyrinth of the mind. She gives us the gift to dream infinite ways of being. Tantra knows of secret energy doorways. Such doorways are opened by special practices. In her path of healing Shakti flows through the doorways and effects healing. She heals past relationships, whether they involve our ancestors, lovers or family or friends. 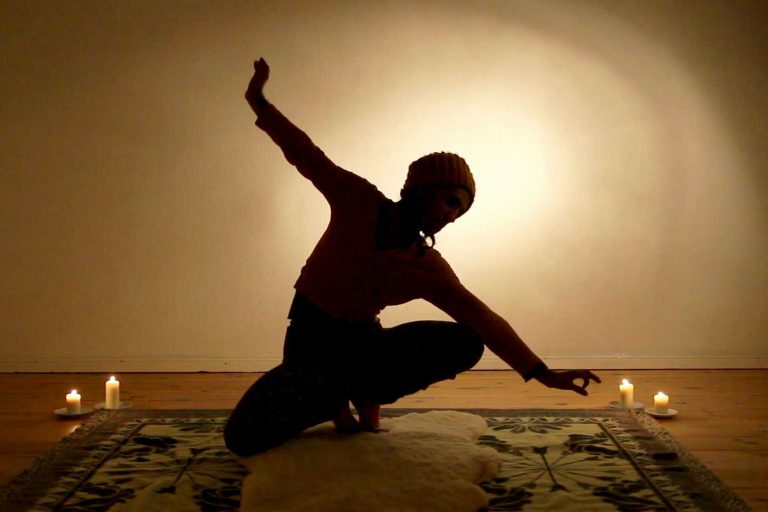 Healing commences and ends with forgiveness, and in this line of Yoga, rooted in India’s native Tantric and Shamanic wisdom, there are many powerful magical tools of healing offered. In darkness and candle light we will come into the circle of power to join a sacred ritual involving secret methods of Tantric Asanas (postures), Pranayam (breathwork), Mudras (gestures), and Mantras (sacred emotional syllables and animal sounds – often involving drumming). These secret techniques awaken trance like states, or dream-like experiences in which deep healing and unwinding occurs. The workshop takes place over two days (Saturday & Sunday) in the evenings, from 18h until midnight (and possibly later). This workshop is a two day journey. A one day attendance is also possible. 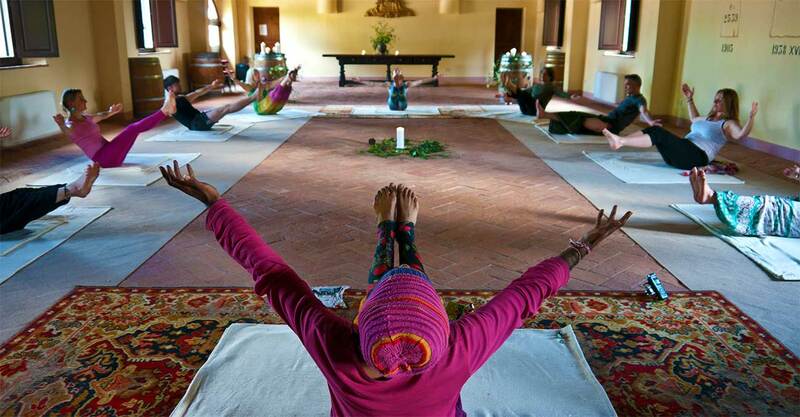 On these 2-day workshops you will practice a form of Yoga that is rarely available and accessible even in India today. You will take part in a sacred Yogic tradition that roots itself in India’s native shamanic wisdom & Tantric lineage handed down orally between generations of Yogis, Babas, Sadhus and Fakirs. You will be exposed to the old tantric ways of seeking profound healing and spiritual awakening, including practicing in darkly-lit spaces to quieten the mind and awaken the senses to the body’s subtle energy currents, holding simple postures for long periods of time, and engaging in powerful breath-work to open-up the body and take the mind into altered states of consciousness. The practice draws on postures seldom used in modern styles of yoga, ancient sequences that honour the mother and the divine feminine, gently opening-up the body to its highest levels of flexibility through minimal effort. Integral to this experience will be the exploration of sound-currents present in the body (Nada Yoga) – perhaps one of Yoga’s greatest secrets and one of the most powerful vehicles through which the karmic patterns stored in the chakras can be accessed and released in pursuit of profound healing. Unique to this tradition is its simultaneous employment of Asanas (postures), aerobic & anaerobic Pranayam (breathwork), Mudras (gestures), and Mantras (sacred sounds). The synergy created by the employment of these various yogic tools will lead you into altered states of consciousness and dream-like experiences aimed at facilitating a greater openness to inward journeying and an easier access to your subconscious. Because we are going to play with shamanic yogic traditions, the practice will take place outside of clearly time constraints. Generally, the practice will last about 6 hours, but if the group is ready to practice longer we might carry well into the night, so please make sure to know how how to get home safely.There will be light snaks and a warm drink at the end of the practice and an opportunity to ask questions to Boonath and share your experience with other participants. The workshop is open to those interested in the healing path. 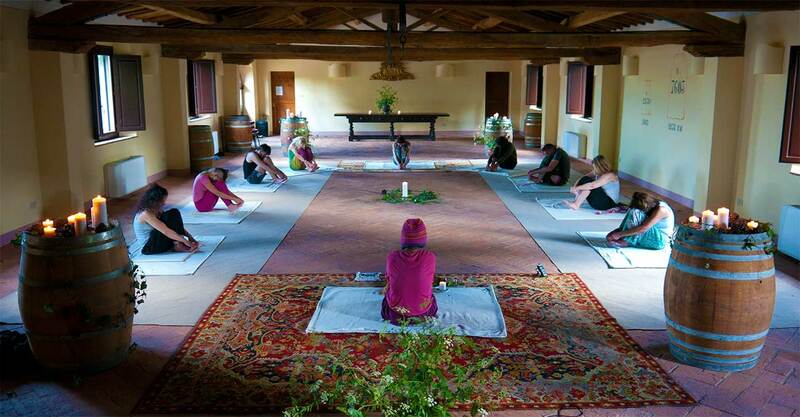 Tantra and Yoga practitioners, and those seeking healing, practitioners of the mystic arts. Both advanced and beginners will find a place in this circle. If you have had or are having psychosis please get in touch directly with us as this is important to know about in this work. The same goes for those with strong mobility issues. Drug and alcohol users also need to inform us of their condition. Thank you. The practie usually takes place in the dark or darkly-lit spaces. The pictures below were taken in daylight to capture the flow of a practice. BOONATH was born into a life of yoga. He grew up between Europe and India and was introduced as a child to yoga through his grandparents who were on both sides yoga practitioners. His grandparents took him on his first Himalayan pilgrimage when he was just seven years old and he has been exposed to the world of yogis ever since. Boonath has taken initiation into the left hand path (that’s the path of the heart) and specialises in the branch of Chandra Parampara, that is a secret style of Moon practice that works with the night forces. It is a style of tantra that goes very deep into the subconscious roots It is first and foremostly a Healing System. Most of his family still lives in India and he has been travelling there regularly throughout his life in pursuit of yoga. He has worked closely in apprenticeship with elders in the line of Siddha systems of healing and holds much knowledge in the use of rituals, mantras and body/spirit healing methods among other things. Boonath has been working in this line and helping people with the implementation of these techniques for over 25 years to successfully overcome mental and physical problems, from chronic pain to addiction. 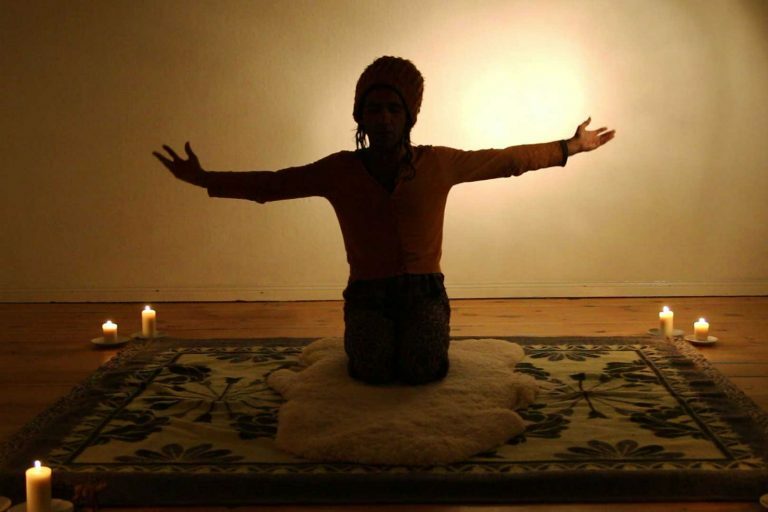 Boonath’s healing and yoga work sees him travelling across the whole of Europe to give workshops and healing sessions. His travels and yoga workshops continue to benefit people in deprived circumstances. In recent years Boonath has been living and teaching yoga in Germany where he has a network of students. It was in Berlin that Boonath met Kim, with whom Boonath co-founded Working with the Shadow in 2014. 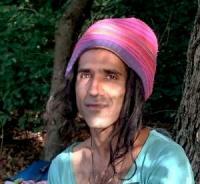 Formal studies and encounters have all left their impression on Boonath, but his teachings are deeply rooted in the Shamanic traditions of the mystical Babas and Fakirs of India, with whom Boonath has been studying closely since childhood to the present day. KIM is an Eco-Activist turned Yogi and the founder of Healing in the Willows, the retreat company hosting Working with the Shadow, which he developed in 2014 in collaboration with Boonath, who he assists with the teaching on the retreat. Kim discovered Yoga in 2005, following a burn-out at work that brought him onto a spiritual path. Kim had spent over 10 years coordinating international environmental campaigns in Brussels, Amsterdam and Berlin for major environmental NGOs, including Greenpeace, WWF, Friends of the Earth, ActionAid, and many others. 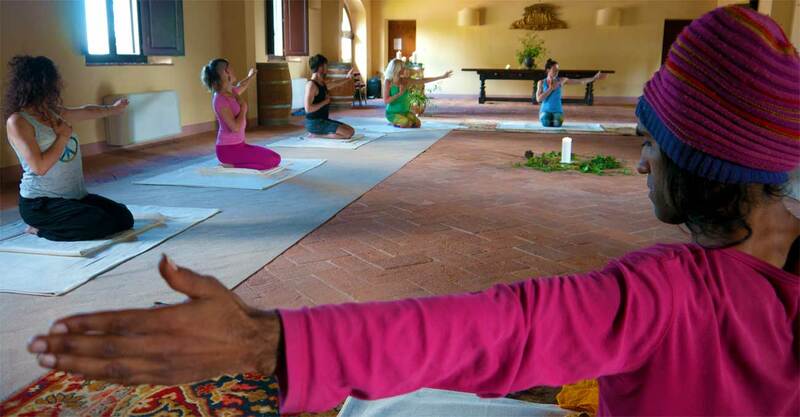 Kim practiced Yoga with many teachers from several modern styles of Yoga (including Iyengar, Astanga, Vinasa, Bikram, Sivananda, Scaravelli, Kundalini) all over Europe, India and further afield. 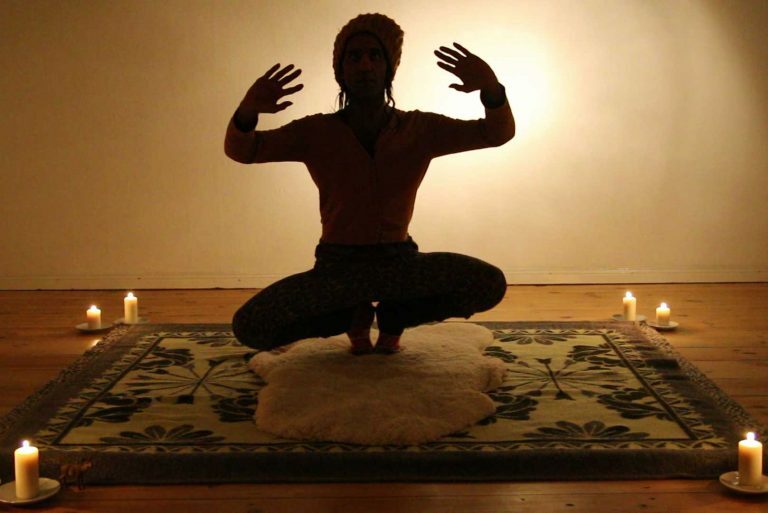 In 2011 Kim set up a first yoga collective in Berlin, which he then expanded to a new location in 2013, in one of the economically deprived areas of town that was undergoing gentrification. The collective brought together a variety of local teachers to promote yoga on a donation basis within the surrounding community unable to afford the increasing cost of living. It was there that Kim met Boonath and, through Boonath, that his understanding of what Yoga is and what Yoga can do shifted entirely. Boonath’s rare and ancient Tantric lineage revolutionised Kim’s understanding of Yoga and initiated him into a mystical healing journey that impacted strongly also on Kim’s activist work. Since then Kim has been collaborating with Boonath on developing Working with the Shadow through the retreats they run in a remote forest in Tuscany, where Kim lives, and the workshops they run across Europe. (which includes a DISCOUNTED TICKET for both Friday & Saturday evenings).